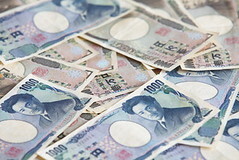 TOKYO – Japan will hikes taxes for some, while pushing big businesses to boost wages. The government of Japan has approved a sweeping set of tax reform measures aimed at boosting tax revenues, while also increasing inflation in the country. Japan has faced deflation for a significant period of time, and, further, an ageing population means that the country is expecting to feel the economic cost of a rising welfare bill in the near future. As a means countering the unwanted effects of deflation and welfare costs, the government hopes to encourage large businesses to increase wages, in turn boosting consumer spending. Under the scope of the tax reform, the rate of corporate income tax in Japan would fall from 30 percent to 20 percent for businesses which stop hoarding cash in order to dramatically boost the wages of their employees or for businesses which boost domestic spending. However, the government will also boost the rate of tax for salaried workers with high incomes and for retirees with significant pension payments. Further, taxes on tobacco products will rise, and a new departure tax and residential tax will be enacted.